ABC Home and Commercial Services has signed a 50-year pledge with the Exchange Club of Austin to host the ABC Zilker Kite Festival. 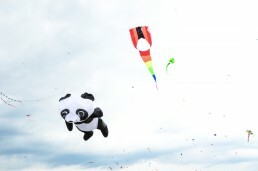 The festival has been going on since 1929, making it the oldest kite festival in the country. Read the full article here. As a way to honor their son, Jessica and J Pieratt started MossFest, a children’s concert held before the ABC Kite Fest each year. 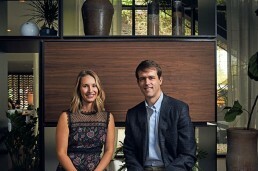 Read more about the couple in Tribeza's 12 to Watch list. Experience ABC Kite Fest to the Fullest! While the ABC Kite Fest will always be a free event, you can purchase tickets to join the High Flyer Club and participate in the Anteater Fun Run. © 2019 ABC Kite Fest. All rights reserved. Monkee-Boy, Inc.